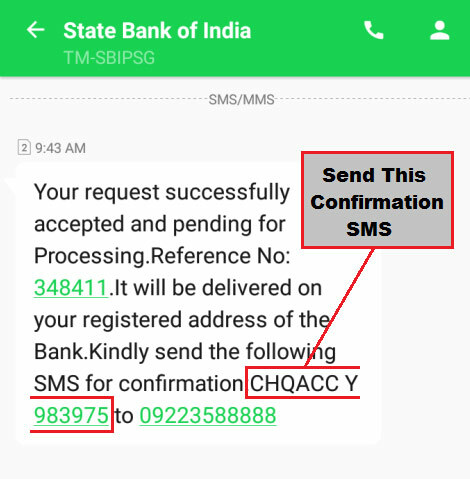 pixel How To Apply/ Request For New Cheque Book in SBI Through SMS in Hindi ? 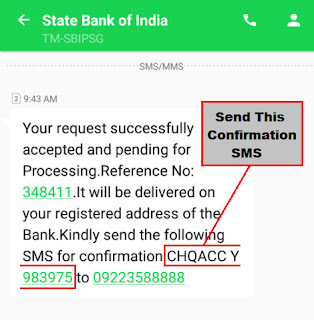 How To Apply/ Request For New Cheque Book in SBI Through SMS in Hindi ? 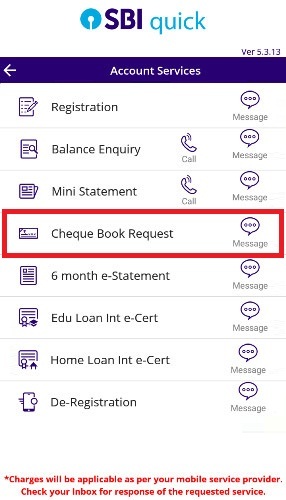 How To Apply/ Request For New Cheque Book in SBI Through SMS ? तो चलिए दोस्तों अब आपका ज़्यादा समय बर्बाद ना करते हुए हम आपको SMS के माध्यम से New Cheque Book के लिए Apply/ Request करना सिखाते हैं | लेकिन उससे पहले यदि आप चाहें तो इसे भी पढ़ सकते हैं - How To Register For e-Statement For SBI Account Step By Step in Hindi ? Type “REG <Your Account Number>” And Send It To “09223488888”. Type “CHQREQ” And Send It To "09223588888". 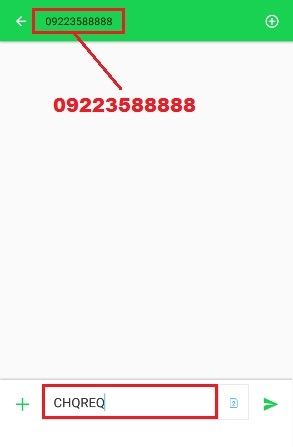 Example - Type "CHQACC Y 983975" And Send It To "09223588888". Important Note :- SMS Charges Apply For Sending SMS To "09223588888". 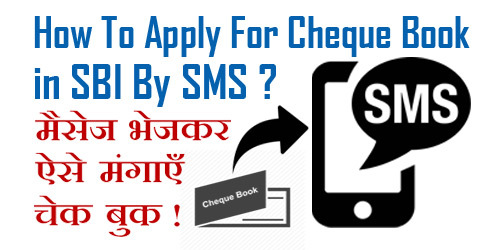 उम्मीद करते हैं कि अब आप समझ गए होंगे - How To Apply/ Request For New Cheque Book in SBI Through SMS.